CME is an acronym that stands for continuing medical education. 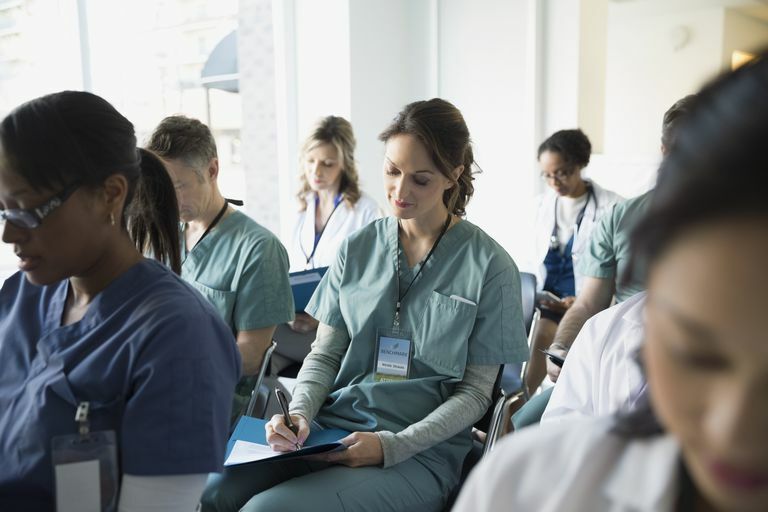 Most licensed or certified health care professions have CME requirements that must be fulfilled on an annual basis to maintain active licensure and certification. CME credits are assigned to courses, seminars, and online training by professional bodies such as the Accreditation Council for Continuing Medical Education. In general, CME refers to credits for physicians and others with a medical license, while CE (continuing education) or CEU (continuing education unit) are terms used for other health professions. If your job requires any type of license or certification, most likely you must complete CME each year in order to renew your license or certification. Nurses, doctors, and allied health professionals are all required to complete CME credits yearly. As a result, CME is an ongoing requirement throughout a career. Check your license or certification requirements to note how many CME credits are required during each renewal period. As you may not be able to practice if your license or certification expires, you need to be vigilant in keeping current with what is required. To learn more about CME requirements specific to your healthcare role such as how many credits you need and how you can obtain them, check with your applicable professional association or licensing board. CME can be obtained in a variety of ways. The number of credits required varies according to your specific professional role and the state in which you are licensed. Seminars, classes, workshops, lectures, conferences, and even some books and webinars can count towards CME. When deciding whether to attend a conference or class, check whether CME is offered. It is also critical to check the details on how to apply for CME. Is a certificate given at the end of the course that must then be filed? Sometimes an extra fee is needed to get CME credit for training. There are some costs associated with obtaining CME credits, such as registration, materials, and sometimes, travel. Many healthcare employers will reimburse all or some of these costs, as they are required for you to fulfill your clinical role for your employer. Additionally, some employers may provide additional paid time off above and beyond your vacation time, to complete CME requirements. Depending on the employer or organization, you may need to request funding or reimbursement in advance of the training. For example, many Veterans Affairs medical centers require application in advance for tuition and travel for CME and may not grant funding if applied for after the fact. In addition, if your license or certification lapse due to lack of CME, your job may be terminated as you cannot legally practice. The American Medical Association provides online resources for physicians to record their CME and apply for CME credit for training and activities. As a result, they can easily access their CME transcripts. Other professional associations may provide similar tools, or you must keep your own records.